There has been more than one time in history when a property owner has been awakened by the sound of drilling on his land or the noise of chain saws cutting down what he thought were his trees. Too late the property owner discovered that there was a Reservation of Rights in his deed. This means that the buyer (grantee) of the property has bought or taken the property subject to that Reservation of Rights. That is, the buyer does not own whatever the seller reserved for himself out of the property sold. Under English Common Law an owner of real property (land) is usually considered to own from the surface of the land up to the heavens and from the surface of the land down to the center of the earth. This is generally understood to be the case in America east of the Mississippi River. In land west of the Mississippi River the situation can be different. Much of the land acquired by the United States of America between 1803 and 1854 used to be land owned or claimed by France, Spain or Mexico. As such the basic law of those countries was not English Common Law. However, in America it is generally believed that a landowner owns what is underneath his land. If a land owner owns what is above and underneath his land then it is no stretch of the imagination to understand that a land owner can retain a portion of what he owns when he sells the land to someone else. This is the basis of what has become to be known as a Reservation of Rights. Simply stated, this means that a Seller of real property reserves for himself a right of ownership or use of something above or below the land he sells. A deed is the legal document that transfers the ownership interest in a parcel of real property (land) from seller (grantor) to buyer (grantee). In some deeds there may be language such as the grantor creates and retains a specific right or interest in the land. Today, the most common language found in a deed would be the grantor reserves or makes a reservation of a specific right or interest in the land. Since a deed is only signed by the sellers (grantors) it is not uncommon for a buyer (grantee) to not know of a reservation of rights. It is in this situation where a property owner is awakened by the sound of drilling or chain saws and had no idea that someone else owned what he thought was his. The reservation of rights may have been made by a land owner years before. Some reservations of rights are mentioned in each successive deed to a new owner of property. Some reservations of rights are in a document in the County Deeds Office and not mentioned in each successive deed. For example; when the U.S. government sells or grants land under a land patent (a document similar to a deed) the land patent is recorded in the County Deeds Office and has a Reservation of Rights included in it. 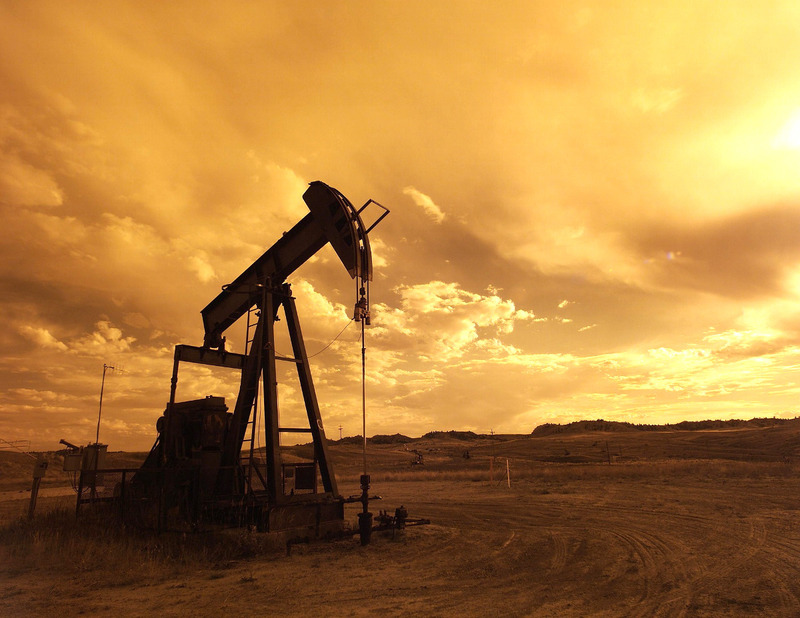 It is common for the U.S. government to always reserve mineral rights when they sell or transfer land. A subsequent deed to a new owner might not recite the Reservation of Rights by the government. However, since the Land Patent is recorded in the County Deeds Office it is considered to be notice to the world and every subsequent buyer of that parcel of land takes the land subject to the government's Reservation of Rights. During the Closing process of the sale of land, a Preliminary Title Report or an Attorney's Abstract of Title will tell if there is a reservation of rights. This is one of the most common reservation of rights. It is also one of the easiest to misunderstand. If there is a Reservation of Timber Rights in a deed the holder of that Reservation can come on the land at any time and cut down the trees. But besides this, you can not cut down any trees without permission of the timber owner. If you cut down even one tree without permission you can be sued by the timber owner! Beware of a Real Estate Agent or Seller who tells you that timber has already been cut and there won't be another cutting for 100 years. When there can be the next cutting depends upon how fast the trees grow, not on a specific number of years. I have been on land that was logged less than 50 years ago and there were trees already big enough to be logged again. Why would you want to purchase land where the trees belonged to someone else anyway? If you were to have to sell the land for any reason, you would have a difficult time selling it with a Timber Reservation on it. There is more than one type of Timber Reservation. This means you need to understand the legal meaning of the words used. If the original deed with the reservation said merely timber is reserved, the holder of the reservation only has rights to the timber growing at the time of the sale. If there has been a cutting of trees after the date of the reservation the holder no longer has a right to cut any more trees. But the land may look so bad you would not want to buy it anyway. Be careful if buying land that has timber cut and lying on the ground. While a tree is living and growing it is real property. Once it is cut down it is no longer real property. It is now personal property and does not go with the land. If there is cut timber on the land, be sure the deed says you acquire the fallen timber and it has not been sold to anyone else. If a Real Estate Agent or Seller tells you there is no longer a Reservation of Timber Rights on the property, insist on a deed stating there are no longer Reserved Timber Rights on that property. Minerals can include anything of value that can be extracted from underneath a parcel of land. Minerals include; oil, natural gas, silver, gold, uranium, salt, copper, coal and other valuable minerals that are in or beneath the ground. As stated above, when the U.S. Government transfers land to someone else it is common for them to Reserve Mineral Rights. Sometimes specific minerals such as oil and natural gas may be mentioned as reserved. At other times it may be the broad category of minerals that is reserved. Private land owners can Reserve Mineral Rights when they sell land also. Those Reserved Mineral Rights can be specified such as oil and natural gas or it can be stated as a Reservation of Mineral Rights. Most private sellers of land will not Reserve Mineral Rights unless they are pretty sure there may be something valuable underneath the land. If you find land that you like and then discover a Reservation of Mineral Rights is on that land, do some investigation to see what the chances of that reservation being exercised is. Go to that States Division of Mines, Department of Geology, Division of Minerals or similar sounding department. Find out what valuable minerals, if any, have been discovered, mined, or extracted in your area. If there has been none found, mined or extracted you should be able to purchase the land knowing the Reservation of Minerals is likely to never be exercised. If, on the other hand, there is a good possibility that there are valuable minerals beneath the land you are considering purchasing, you might want to scratch that property off your list. In some cases you might be successful by requiring that the Seller get the Reservation of Mineral Rights removed as a condition of the sale of the property. If you are looking for country or homestead property in the major oil producing States in America; Texas, North Dakota, Alaska, California, New Mexico, Oklahoma and Colorado be extra cautious. In these States, especially in Texas, California and Oklahoma where oil has been pumped for decades it behooves you to know exactly what words used in a deed actually mean. For there to be a valid reservation in a deed there must be words that express the intent to reserve an interest in the grantor (seller). Without the appropriate words there can be no creation of a reservation of rights in the deed for the grantor (seller). If a deed contains these words; save and except or less and except, those words may not create a reservation of rights. Depending on whether this same language was copied from a prior deed or whether it was original language in a new deed can determine its meaning. If it is new language in a deed it can reserve a right in the grantor (seller). If it is language copied from a previous deed it can have the effect of excepting or removing that right from the grantor (seller) and conveying that right to the grantee (buyer). The problem arises because some drafters of deeds attempt to use save and except or less and except as descriptive terms for both prior reservations and future reservations in a grantor. The proper way to reserve a royalty or interest in minerals is to use the descriptive term reserve, reserves or reserved if the intent is to reserve a mineral interest or royalty in a grantor (seller). If a prior royalty or mineral right is being described the proper term to use is subject to the prior reservation of mineral rights or royalty. If purchasing property in major oil producing States and there is save and except or less and except language in a deed you need to have that deed interpreted by an attorney to know if you will become the holder of a reservation or royalty or if it remains a right of the grantor (seller). Depending on its usage, those two phrases may grant you a right that you did not expect to gain and remove a right that the seller thought he was retaining for himself. It pays to know what those phrases really mean ahead of time! If you are looking for property west of the Mississippi River, a Reservation of Water Rights would get that property scratched off my list faster than any other Reservation of Rights. West of the Mississippi River the general rule is there is usually less rainfall and thus the land is more arid than land East of the Mississippi River. As with most things there are exceptions to this general rule. Two notable exceptions are along the Pacific Coast of Washington and Oregon. Here cooler rivers that flow through the Coastal Mountain Range empty into the Pacific Ocean which has a warmer (than the rivers flowing into it) current along the Pacific Coast. This creates a moisture laden atmosphere that is pushed inland by the westerly winds. These water laden clouds drop much of their moisture as rain before crossing the peaks of the Coastal Range. This makes the Olympic Rain Forest in Western Washington and portions inland from the Oregon Coast rainfall at 150 inches or more per year. In the area between the coastal Mountain Range and the Mississippi River the average yearly rainfall is below that of the Eastern U.S. In the vast majority of land west of the Mississippi River, water is much less present and therefore much more valuable than east of the Mississippi River. This creates a situation where water rights becomes the most important consideration when looking for land in the American West. Thus Water Rights and knowing you have sufficient water for your planned or anticipated needs makes a Reservation of Water Rights the number one deal killer when looking for land in the American West. If there is a Reservation of Water Rights on property you are considering purchasing in the American West - proceed with extreme caution. This is a situation analogous to purchasing land with a shared water source. If someone else has rights to water before you can get any water, the water source needs to be known to always have more than enough water for all the anticipated needs of the one Reserving Water Rights and the one who gets whatever water is left over. Bottom line; I do not ever recommend anyone buying land that shares water with another parcel of land or that has a Reservation of Water Rights on it. That is just asking for trouble in the future and having difficulty selling the property if the need was to ever arise. This is more likely in the American Mid-West but can happen anywhere. If you are considering buying farmland that currently has crops growing on it and there is a Reservation of the Right to Remove Crops you need to know exactly what this means. It could be limited to just the current crops growing or it could be a long-term contract with a grower that you, as the purchaser, would be required to honor. Ask for a copy of the contract or agreement between the land owner and the farmer who owns the crops. Read it carefully and if you have any questions take it to a good Country Attorney for a Legal Opinion. If it is only the crops growing on the land presently, then the price of the land should be reduced to reflect the value of the crops sold under the contract or the lease fee for growing the crops that year. If the contract is for a term of multiple years then require the seller to get the contract voided as a requirement of you purchasing the land. If this is not possible, scratch that property off your list and look elsewhere for land. This Reservation can be found in many areas of the American West. Like the Reservation of the Right to Remove Crops, this reservation can be for just the current year or it could be for a period of years. This is something I have had some personal experience with on property we were renting when we first moved to the Northwest. On that particular property there was a pasture bounded by one strand of electric fence wire. There was also a garden area, a row of grape vines, a row of golden raspberry bushes and several full size apple trees. I had been told we could plant in the garden and harvest the grapes, raspberries and apples for our use while we lived there. After we moved in, the owner decided to lease out the pasture to a cattle farmer who was looking for additional grazing land for his cattle. The type of problems that can come from an arrangement like this did not take long to appear. The cattle invaded the garden area and ate everything in sight including the leaves on the grape vines and the golden raspberry bushes down to the ground! Then they headed for the apple trees. Have you ever seen a cow standing on her hind legs with the front legs as far up on the trunk of an apple tree as they could reach eating green apples and leaves? We have! Needless to say the only produce we salvaged that year were some apples growing too high for the cows to reach. Then there was the problem of the cattle getting out of the pasture. One strand of electric fence wire did not keep them in the pasture! They were in the yard, driveway, out on the road and even in the woods across the road. There were several times that summer that I herded cows back into the pasture with a small car! They ate flowers from the flower bed in the yard and even tried to come up on the porch! They tore up the yard with their hoofs and left cow pies all over the place. Personally, I would never purchase land that has a long-term grazing contract for cattle on it. It is fine with me if you do - that is your choice. Just be sure that the pasture has a better fence than one strand of electric fence wire. The price of the land should be reduced by at least the amount of rental for each year of the grazing contract. Remember, if the cows get out they will do major damage to other portions of your homestead! When a seller believes that there is oil or natural gas or other valuable minerals underneath the land, he may Reserve for himself Royalty Rights. This is the right to be paid all or part of the value of minerals that may be removed from the land at sometime in the future. In some cases there may be an existing Reservation of Royalty Rights on the property that was made by a previous land owner. A Preliminary Title Report or an Attorneys Title Search should turn up the presence of a Reservation of Royalty Rights. These Rights are not always mentioned in a deed to the property. If a Seller wants to reserve a right for himself, I'd seriously consider looking for land elsewhere. If there is already a right reserved from a previous owner I'd make the release of that right a contingency of purchasing the land. You don't want to wake up some morning and find a drilling rig or mining operation on your land and you not be able to get some benefit from the taking of minerals from underneath land that is yours. What If The Seller Wants To Reserve A Profit? When a seller wants to Reserve A Profit, this is where the seller wants to reserve his right to take something from the land after it is sold to you. If this is the case I would proceed with extreme caution! It is important to ask why the seller wants to reserve a profit? If the seller persists in wanting to reserve a profit it is time to look for land elsewhere! Almost all lending agencies, banks, mortgage companies, and even credit unions balk at lending funds for the purchase of land that the seller reserves a profit on. If you need a loan to purchase the land and the seller reserves a profit it is time to look for land elsewhere. If there is a valid reservation of a right to extract any mineral, timber, crops, grazing etc. on the property, a Right of Entry is implied unless specifically stated to the contrary. This means that at any time someone else has the right to enter your land for the purpose reserved to them. This means that you could get into trouble if you put a locking gate across the drive at the entrance of your property. If someone else has a valid right of entry and you refuse to let them enter, they have the right to sue for entry and would probably win the law suit. You are in a much safer position if the deed says the holder of the reservation has no right of entry. In that case the deed would say something like; Grantor (seller) reserves the right to all mineral, oil, natural gas or other hydrocarbons below a depth of 500 feet under said real estate without the right of surface entry. If the deed states there is no right of surface entry you can legally refuse to allow entry or charge a fee for entry. Refusal to allow entry means they have to dig or drill from an adjoining parcel of land to get to any minerals 500 feet or more below your land. Can the Right to Take Profits be Earned by Prescription? Yes, just like there can be an easement earned by prescription it is possible for some one to earn a profit by prescription. This is also called a prescriptive profit. The person claiming the prescriptive right must have been removing the material for the period of time specified in that State's Law. For example: Say a neighbor has been taking apples from the apple trees on the property you are considering purchasing. If he has been taking them for the period of time specified under State Law he can establish the right to continue taking apples as long as he wants to do so. How Do You Discover a Prescriptive User? Prescriptive use is only discovered by a thorough walk over of the land before Closing of the Sale of the property. If you see evidence that anything at all is being removed from the land, be it timber, rocks, soil, water, crops, produce etc. it is your job to find out why it is being removed and who is doing the removing. Prescriptive use is not discovered in a title search or an abstract of title. If the removing has been going on long enough for a claim of prescriptive use to be made, I'd give strong consideration to looking for a different parcel of land. Is it Possible to Get a Reservation of Rights or Profits Removed From Property? The answer is a qualified yes, maybe. If a Reservation of Rights or Profits is discovered in a Preliminary Title Report or in an Attorney's Abstract of Title you can disapprove of the Title Report or Abstract. "Buyer disapproves of the following condition and demands that it be removed: ___________________________________________________________________. This reservation must be removed from being an encumbrance on the Title to the Sale property. Removal is to be proven by an appropriate document recorded in the County Deeds Office prior to the closing of escrow. If this condition is not met, buyer has the right to terminate the Sale Agreement, receive back any and all monies expended including Earnest Money tendered and seller keeps the land."